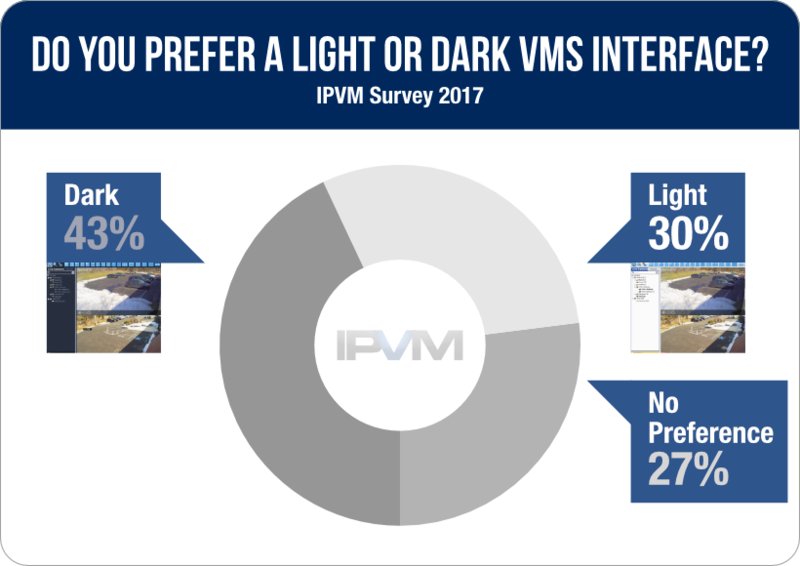 Several VMS manufacturers have the ability to choose a user interface with either a light or dark color theme. 150+ integrators told us which they preferred, and why. 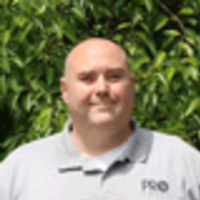 Inside, we examine the reasons integrators choose light or dark user interfaces. ******* *** ************* **** *** ******* ** ****** * **** interface **** ******* ***** ** **** ***** *****. ***+ *********** **** ** ***** **** *********, *** ***. ******, ** ******* *** ******* *********** ****** ***** ** **** user **********. ***** **** *********** ********* * **** ***** **** *** ***** choice, * ******** ** *********** ****** ****** * ***** ***** or **** ** **********. *********** *** ****** **** ****** **** ** **** ** ******* eye ****** *** ***** ** ****** ** ***** ** *** video. *********** *** ****** ***** ****** **** ** **** ** ***** better *** **** ** ***** ***** ****** ** ****. *********** **** ** ********** **** ** **** **** ***** *** choice ** ** *** *** ****. ** ***, *** **** ****** ****** *********** ***** * **** theme ** ** ****** **** *** ****** ** *** ***** environments. "**** **** *********. ** ** **** *********** *** **** ** you ***** **** ****." "* ****** * **** *** **** ********* ** * ***** tends ** **** **** ********* ** *** ****. **** **** a **** ********* *** **** *** ****** **** ******." "**** - *** ***** ******* ** ***** ****** ********, * think **** * **** ********* ** ****** ** *** **** for ******** ******* ** **** *** ****** *** **** ** focus ** *** ******** ** *** ***** *** ** ******* to * ***** *******." "****, * ***** ** ******** * ****** ******** ** *** video. ***** ** **** ******** ** *** ****, *** * found *** ****** **'* ****** ** **** ***** **** ****." "**** - * **** "*****" ** ** ********* ****** ******, easier ** *** ****." "**** ** ********** **** ******** ** *** ****. * ***** a ****** ********* ***** ** ********** ** * **/* ********** situation ******* * ******* *** ***** ** ********** ** * situation ***** *** *** ** **** ********." "** ****** **** **** **********. **** ** *** ************* ** have *** ** * ****** ******** ********** ******. ******** **** are **** ****** ***** **** ****** ** *** **** ** these ************." **** *********** **** **** ******** ** * ******'* ***** ** view ***** ** ****** ******* * **** ********** **** * light **********. "* **** ****** *** ****** ** ******, *** **** ** the **** * ****** * **** **** *********. * **** like ** ***** **** *** *** ** *** ****** ***** rather **** ** *** ****** **********." "**** ***** ** **** **** ********** ** *** ***** ******** offices. ** ******* ** ****** ********." "* ****** * **** **** *********, * ***** ** ***** the ******* ** ***** ***** *** ****." "****, **** ** ***** ** ****** ***** ****** **** *** interface." "* ****** ****. ** ****** *********** *****, **** ** *** red *** ****** * ***** ** ***** **** ****** ** detected, ** ** **** **** ******. ****, * ***** ******'* brains *** ********* ***** ** **** *** ********* ***** ** jump *** ** * **** **********, ** ******* ** *** other *** ******." "* ****** ****. ******* * ***** ** ****** *** **** to ***** ** *** ***** ****** **** **** ****** **** the ****** ***** ********** ****** ** *** ****." *********** **** ***** * ***** ***** ***** ****** *** ** because **** ****** *** ****. "** ****** * ***** *** **** *********. ** **, ** seems ******* *** **** *********** *** *** *******." "***'* ****** **** * **********. **'** ***** *** ***** **** Light ***'* **** ********." "*****. ** **** ******, **** ***** ** **** *******." "*****. * ****** ** ****** *** *** **********. ******** ******* Center ** ****** ***** *** **** ***** **** ****** **** Milestone ******** ** *****. ** *** ** **** ******* ***** other *********** * *** *** *** ***** **********." "* ****** * ***** *** *********. ** ***** ******* *** easier ** **** **." "* ****** *****. ** ** ** ***** *** ********* **** more ****-******** *** ****** ** ***." "*****, * **** *** ***** ******* ****. *** **** *** reminds ** ** *** ******** ***** *******." **** *********** **** ** **** ***** **** ********** **** ****** to ******** *** *** **** **** ****. "* ********** ****** *****, ***** **** *********** ** ******** *** differences ** *******." "*****- ****** ** **** ****** ** ****** *** ***** **** hard ** **** ** ***** * *****." "*****. **** ** ********* ** **** *** **." "***** ~ **** ******** **** *** ****." "*'** ***** *** **** *** ** * ****** ****** ** navigate **** *** ******* *********." * ****** ** *********** **** ** **** **** ** **********, leaving *** ****** ** *** *** *** **** *** ***** environment. "******* ** ******** ** *** *** **********. ******* **** ** open ********." "**** ** * **** ********** **** *** ****** ********* ** the **** *** *** ********." "** *******, ** ** *** **** ************* **** ******** ***** one ** *********." "****! ******* ** *** *********. *****-***** ** **** ************ *** must ** * ******* ******** **** ***** ** **** ******** and ****** ** **** **** ** ** ******." ***** **** ** **** ********* **** ** *** ****, ***** is **** * ***** ********** **** ***** ****** ** *** or *** ****** ********. ***** ** **** ** **** ** between ******* **** *********. ** ******** *** ******* *** ****** *** * ***** **** in ******* *.*. ** **** ********, *** ***** ****** ******* dark ** ***** *****. ***, **** ** ***** *********** *** I ***** ** ***** **** **** * ****** ******* ***********. In *****'* ** *****, **** ***** ** ********* ** ********* by ****.